James Bryan Smith is the author of The Good and Beautiful God and the Apprentice series. He is a theology professor at Friends University in Wichita, Kansas. 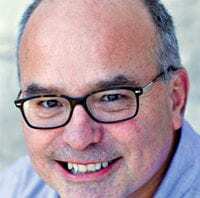 He also serves as the director of the Apprentice Institute for Christian Spiritual Formation at Friends University, and is a founding member of Richard J. Foster's spiritual renewal ministry, Renovaré.